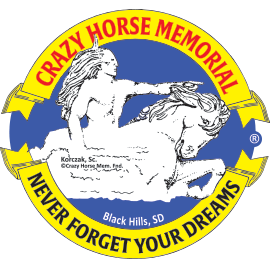 The inspiration of Crazy Horse Memorial® at your fingertips. Features a Silicone stylus tip for easy navigation, grip pads, polished barrel and retractable ballpoint. Black ink. 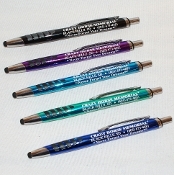 Available in 5 metallic colors - black, sky blue, sapphire blue, green and purple.